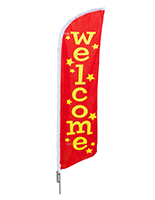 This banner flag is the perfect way to draw customers into your store, business or office for your grand opening! 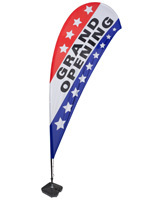 The red, white and blue polyester fabric is pre-printed with a "grand opening" message. 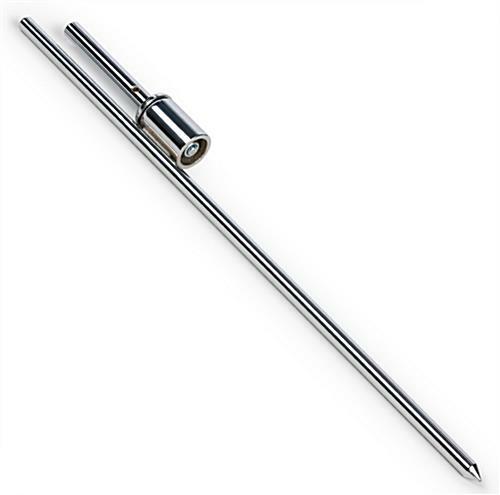 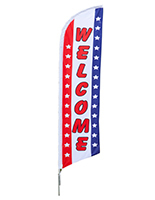 Each 135" tall flag comes with the banner, pole and ground spike for attachment in dirt or grass. 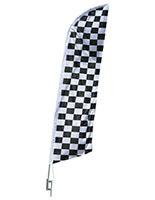 The single-sided print flutters in light winds but is not designed to withstand anything higher than 20 mph. 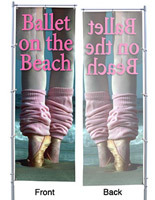 The flag is perfect for all your advertising needs!